Lovely rambler in highly sought after Wild Meadows neighborhood. Main floor features open floor plan highlighted by walls of windows to fill areas w/ natural light. Main floor also offers master suite, private office, sun room & laundry. Formal spaces. Entertain in the lower level, offering family room, game area, impressive wet bar, & stunning wine cellar. Three addl BRs in lower level, one w/ ensuite bath. Large deck & screen porch. Two mile trail system through neighborhood, Wayzata Schools. 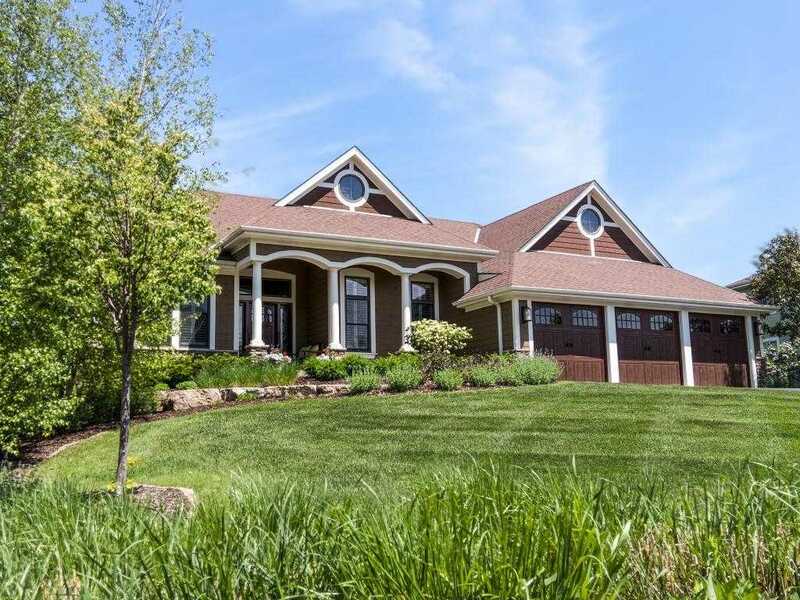 Please, send me more information on this property: MLS# 5136388 – $925,000 – 4110 Wild Meadows Drive, Medina, MN 55340.